The personalities of the Twelve Caesars of ancient Rome—Julius Caesar and the first eleven Roman emperors who followed him—have profoundly impressed themselves upon the world. They bore the perilous responsibility of governing an empire comparable in its gigantic magnitude and diversity to the United States and the Soviet Union of the 1980s. It is a matter of perennial concern to investigate how the potentates who wield such vast might, and the men who advise them, cope with their task, or fail to cope with it. To what extent, for example, are we justified, after a study of the scorching pages of Tacitus, in applying to the Roman Caesar Lord Acton’s saying that absolute power corrupts absolutely? 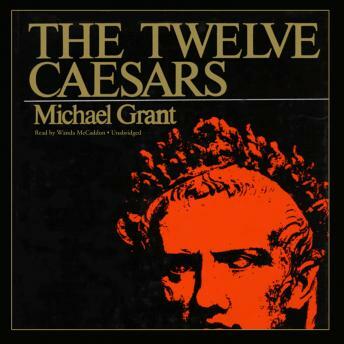 This is one of a number of questions relating to their exercise of authority to which Michael Grant—calling in additional sources of information such as coins and inscriptions—endeavors to answer.